Any kind of foot pain can impact your mobility and quality of life. Metatarsalgia, which involves pain in the ball of the foot, is an example. Metatarsalgia is actually a symptom rather than an injury. There are a number of causes and also a variety of treatments. However, it’s essential that it is properly diagnosed by one of our Florida orthopedic specialists. Generally, patients experience pain in their forefoot and/or toes. It often worsens when they run, walk or even stand and also when they flex their toes. The pain may be worse when barefoot or standing on a hard surface. The metatarsal heads can become inflamed and painful. Some patients also complain of numbness or tingling in their toes. Many people compensate by adjusting the way they walk rather than having it treated. However, that can cause other, possibly more serious, problems. Metatarsalgia can have one or more causes. All of the causes generally involve the foot not moving as it should. Improperly-fitting shoes can increase pressure on the balls of the feet. This includes narrow shoes, high heels or shoes with tight toe areas. Sports medicine specialists will attest to the fact that people who wear shoes that are too tight or do not have enough cushioning to engage in athletic activities may be susceptible. Being overweight increases the pressure placed on the forefoot when walking. Arthritis and other inflammatory joint disorders, as well as bunions, can cause increased stress on the balls of the feet. 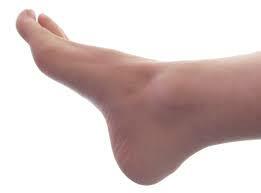 Some foot shapes, such as feet with long metatarsal bones or high arches, can also increase pressure. Stress fractures, which often (although not exclusively) occur among runners, can change the way you walk and therefore increase the pressure placed on the front of the foot. Hammertoes, clawtoes or pinched nerves can cause added stress. There are also treatments, such as injectable steroids or prescription orthotics that may be warranted. Before trying any treatment, it’s essential that you see an experienced physician. At Southeast Orthopedics, we have orthopedic surgeons who are foot and ankle specialists. They can diagnose metatarsalgia as well as other conditions that may have similar symptoms. You want to make sure that you are treating the correct problem. Call us on contact us online to schedule an appointment at one of our Jacksonville-area clinics.